It is one of the many reasons why businesses, whether big or small, new or old struggle when it comes to acquiring new clients, or improve their conversion rates. Your traffic consists of curious visitors and prospective customers. You need to make sure that you do everything you can to convert them into clients before they bounce off. Among many other ways, one particular approach that many businesses around the digital realm are adopting these days is to have several landing pages. The conversion rate is directly dependent on the rate of abandonment of a website making the latter an important aspect of improvement. Before diving deeper into the topic, let us first take a look at what exactly is bounce rate. In simple terms when a visitor (who can be a curious individual, a prospect or a client) visits the landing page of your company’s website and leaves the same in a matter of seconds without reading or even visiting the other pages of the website, this behaviour is called bouncing and the frequency of bounces, as seen in Google analytics, for a website is known as its bounce rate. One of most common reasons for the TA of a company/business leaving the official website of the same without even bothering to read the content within or even consider visiting the other pages of the website is poor readability factor of on-page content. Nummero, a digital marketing agency in Bangalore is of the opinion that, the stepping stone of impressive User Experience (UX factor) is a legible, well formatted, high quality, engaging, relevant and informative content. It is best to avoid large paragraphs and poor formatting in website content as they tend to scare TA away. 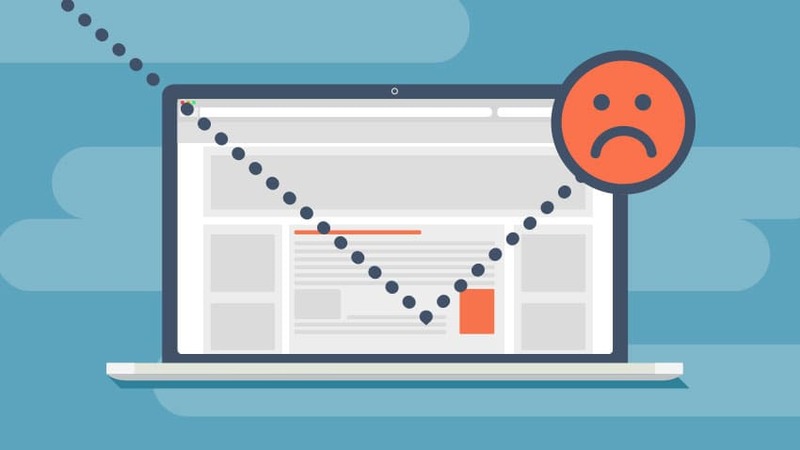 Although pop-ups are effective in many cases and it is an indispensable part of PPC campaigns, it is best to avoid them in your website content if you don’t want to disrupt the smooth UX factor of your website. Even if your content is well formatted and engaging, if the website keeps on showing pop-ups, chances are really high that the visitor will bail. It is best to be a part of 47% of websites that flaunt a clear and well written CTA button. A well written CTA button should take less than three seconds for a visitor to spot it. A well written CTA will coax your TA to feel interested in the content of the website. On top of that, it also creates a sense of attraction in the minds of your visitors leading to a fall in bounce rates. Apart from keeping a close watch on the three factors mentioned above, be sure to work on improving the credibility of your business. Or in other words, improve your business’s ability to create a sense of trust and faith in the minds of your TA. If you do that, you’re in the fast track to success.